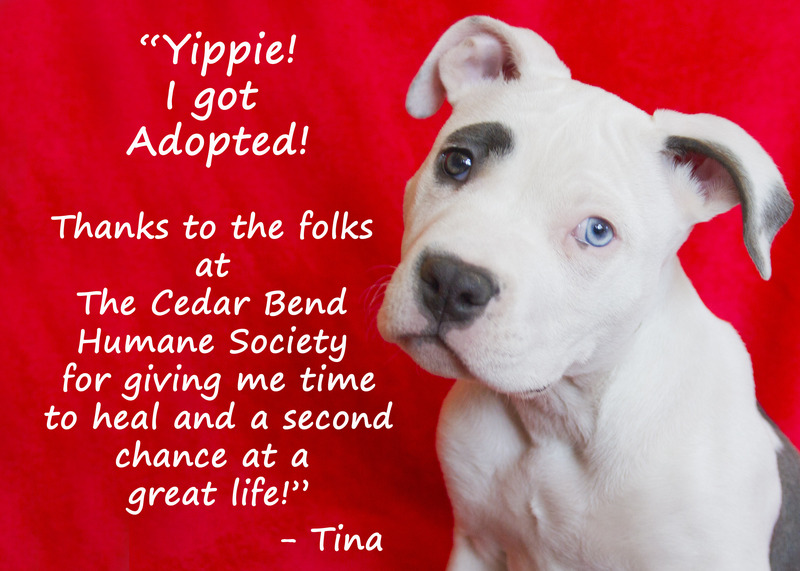 February | 2015 | This blog is affiliated with the Cedar Bend Humane Society in Waterloo, Iowa to share pet-friendly resources, adoption stories, and CBHS events. 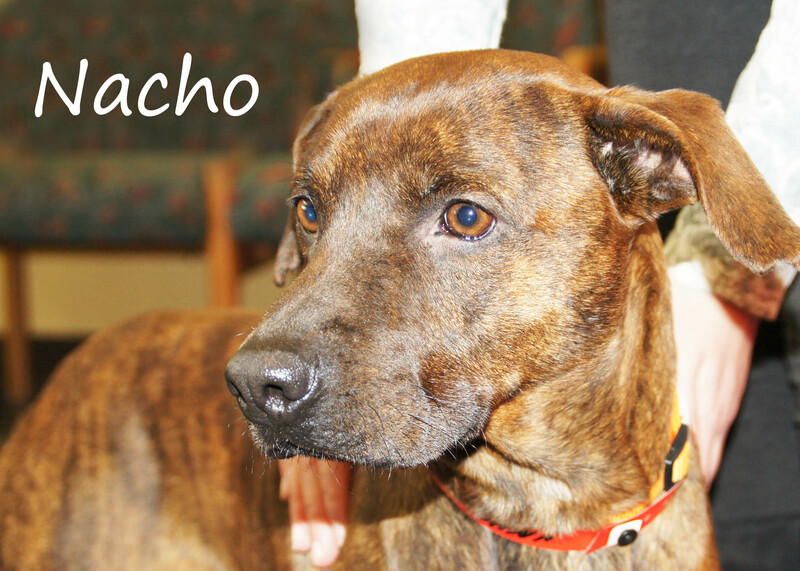 Nacho is a loving dog who just wants to crawl up on your lap and have you hold his paw. He’s about two years old, and we think he’s a plott hound mix. He is medium-sized with brindle fur. Nacho is one of seven dogs that arrived in Iowa from Florida after being surrendered to the ASPCA. He has a great temperament. Nacho gets along well with other dogs. He’s pretty mellow most of the time, but he does like to play when he warms up to you. He’s really just looking for someone who will spend time with him. Nacho is a special needs dog because he came to us with heartworms. We’re looking for someone who is able to take Nacho home while he undergoes treatment. The Cedar Bend Humane Society will cover the cost of the treatment. Once Nacho is cleared of the heartworms, we’ll be able to finalize his adoption. Will you give Nacho his FURever Home? Visit the Cedar Bend Humane Society at 1166 W. Airline Highway in Waterloo to meet Nacho and to fill out an adoption application. We’re open all weekend from 10 to 5. Many of you have followed Valentina’s story. We are happy to share she is doing great, and she is now living with her forever family! The adoption will be finalized once Valentina is old enough to be spayed. When Valentina was brought to the shelter at the end of January, her hind legs appeared paralyzed. She was examined and x-rayed at Den Herder Veterinary Hospital. It was determined her paralysis was due to an injury or trauma. Dr. Taylor treated her with a steroid injection. We placed Valentina in a foster home where she received additional care. Thanks to the Worthington family for icing her injury, giving her anti-inflammatory and steroid medication, and providing some physical therapy for her hind legs. Valentina is strong willed, and she showed great progress in a short amount of time. We can tell you Valentina is now able to use both her back legs, and we hope/expect she will have a full recovery. We will continue to keep you updated, and we’ll share photos of Valentina with her new family soon. Thank you for supporting us so we can support animals in need. 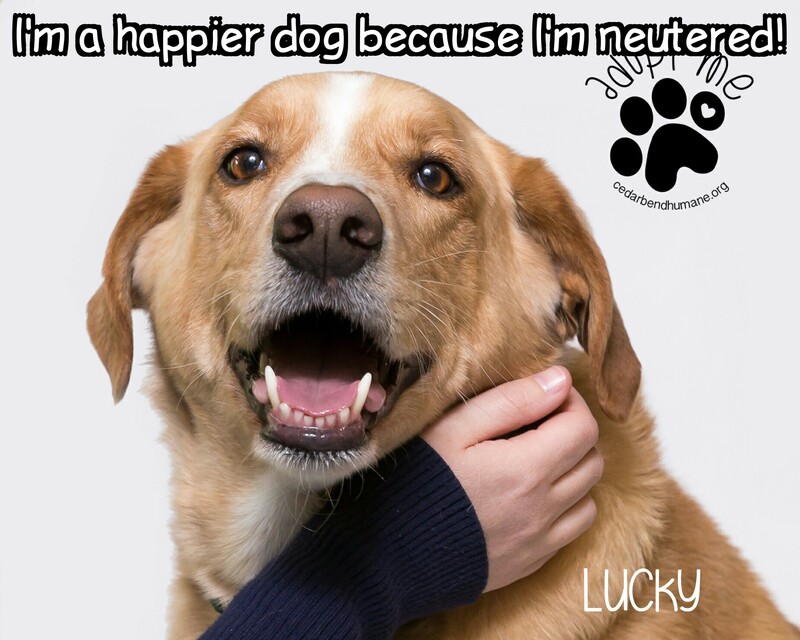 The Cedar Bend Humane Society is excited to announce our new, in-house spay and neuter program for our shelter pets! This program allows us to have all our shelter pets that are at least 12 weeks of age spayed or neutered before being adopted. Thanks to a very generous donation from one of our financial supporters, we were able to purchase all the equipment necessary for these in-house spays and neuters. This program is also made possible thanks to a partnership with a local vet who will perform all the surgeries for us. 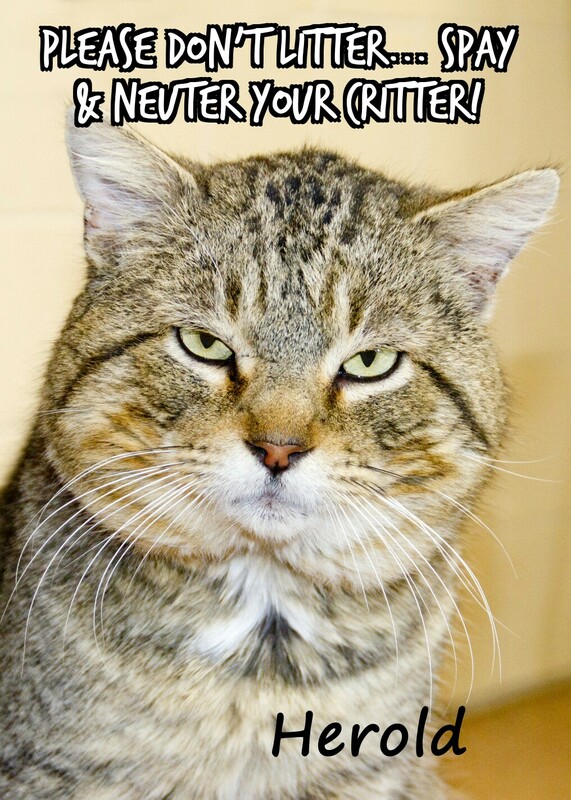 According to the ASPCA, only 10 percent of the animals entering shelters are spayed or neutered. The cost of spaying or neutering a pet is less than the cost of raising puppies or kittens for a year. Part of our mission is to educate the community about responsible pet ownership. We believe spaying and neutering our homeless pets is a major component of responsible pet care, which is why this in-house program is so important and exciting for us. We received more than $3,200 in donations to cover the cost of surgery and rehabilitation for Dixie! Dixie was picked up by Black Hawk Animal Control after being hit by a car. She suffered a broken pelvis and road rash on her stomach. A surgery consultation was originally scheduled for Thursday, February 26th in Des Moines. Due to the weather and road conditions, that consultation is now moved to Monday, March 2nd. We hope Dixie’s surgery will be scheduled very shortly after her consultation. We expect to need most, if not all, of the money for Dixie’s surgery and recovery. If we have any funds left over, all the donations will be used to help the next animal with medical needs. We will keep you updated throughout Dixie’s recovery. We cannot thank you enough for your generosity. We have the best supporters in the Cedar Valley! Dixie is a black lab who was recently brought into our shelter after being picked up on the side of the road by Black Hawk Animal Control. She had been hit by a car, and was noticeably injured. It’s believed she was stranded in the cold for at least two days as she showed signs of exposure. She was unable to walk or stand. The Cedar Bend Humane Society took her to be examined by Companion Animal Clinic and it was determined that her pelvis was broken. A specialist in Des Moines has agreed to perform her surgery, however the up-front costs plus after-care and rehabilitation are estimated at $2000. We are extremely confident Dixie will make a full recovery, but only if we act now. The Cedar Bend Humane Society is asking you to open your hearts and help us pay for Dixie’s life-saving surgery. Any donation in any amount is appreciated and will offset the cost of her medical expenses. Once funds are made available, Dixie will be treated and recover in a foster home that has already been secured. 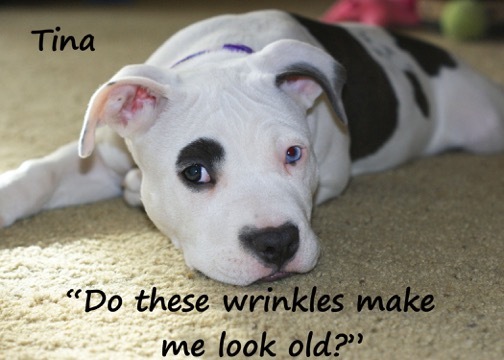 We are amazed by how much Dixie has been through, and what she has survived. 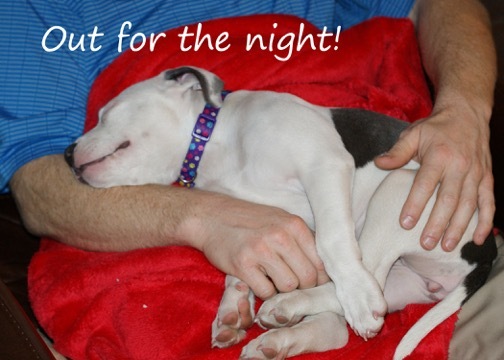 Won’t you help us give this little fighter a fighting chance? Click HERE to make a donation. No amount is too small. (On the donation form, use the “In Honor of” section to designate the donation is for Dixie). Be sure to follow our Facebook page and this blog to stay updated on Dixie’s condition and recovery. Duke is a big dog with an even bigger heart. Duke is one of seven dogs that just arrived in Iowa from Florida after being surrendered to the ASPCA. 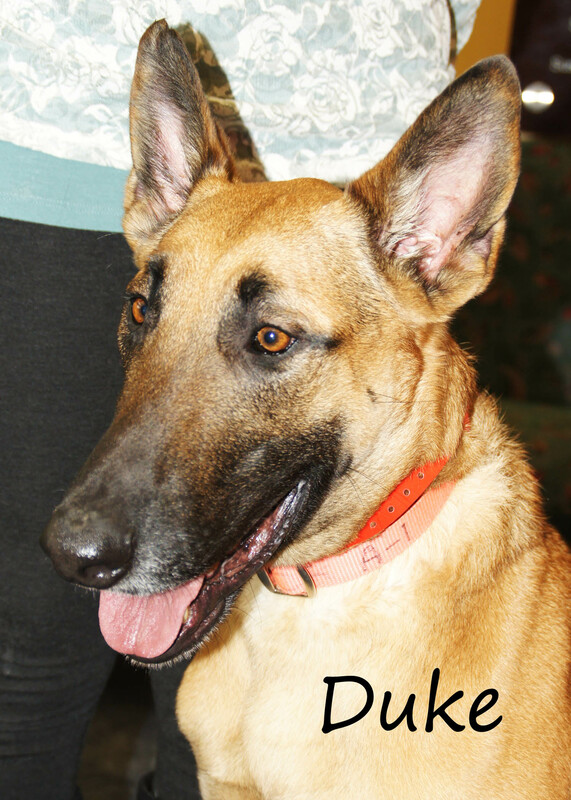 He’s a Belgian Shepherd Malinois and we think he’s about four to five years old. 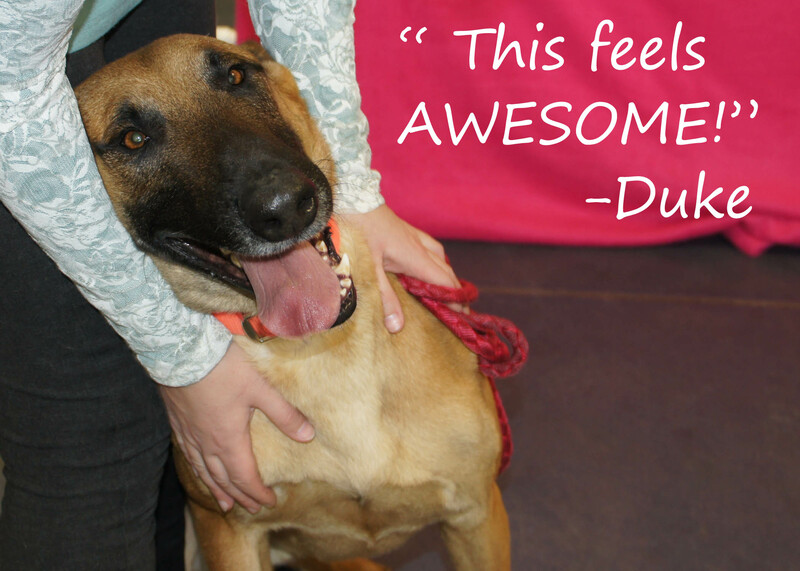 Duke can be energetic and playful… but he does calm down, especially when he’s getting hugs! He’s currently on anti-anxiety medication, but he’s been through a lot the last several months. We hope once he gets into a home he’ll no longer need the medication, but we cannot make any guarantees. Duke likes treats, and he’s willing to sit and lay down for food! He’s a smart dog, but sometimes he gets distracted and loses focus. Being in a kennel is stressful for him, so we really want to find him a home soon. Hopefully Duke goes to a home where he’s allowed on the furniture, even if it’s a tight fit! He does well with other dogs, but he’d prefer a home without cats. Will you give this lovable guy his FURever home? Visit the Cedar Bend Humane Society on West Airline Highway in Waterloo to meet Duke and to fill out an adoption application. 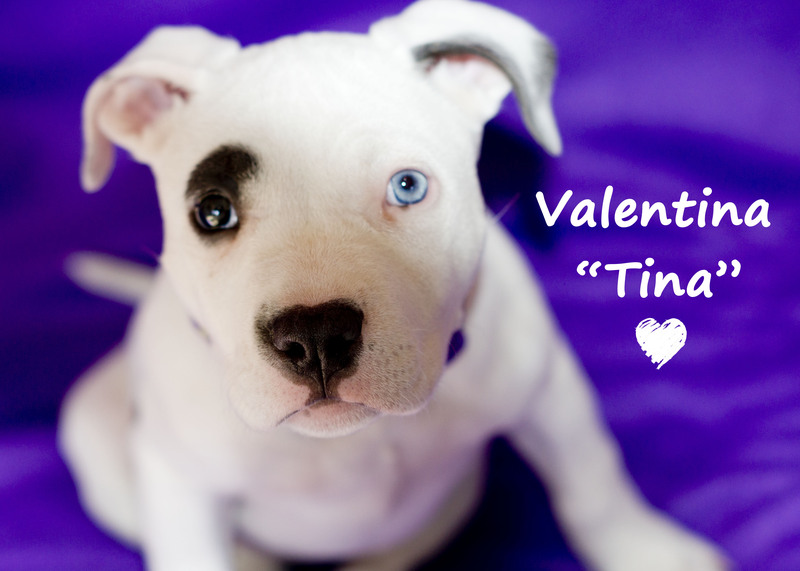 We’re open all weekend from 10 to 5, and we have reduced adoption fees on Valentine’s Day. Sweet Valentina is a 14-week-old stray brought to the shelter. Her hind legs appeared paralyzed and could not bear any weight. She was examined and x-rayed at Den Herder Veterinary Hospital. It was determined her paralysis was due to an injury or trauma. Dr. Taylor treated her with a steroid injection. Valentina is currently in a foster home receiving additional care, which includes icing her injury, anti-inflammatory and steroid medication, and physical therapy for her hind legs. 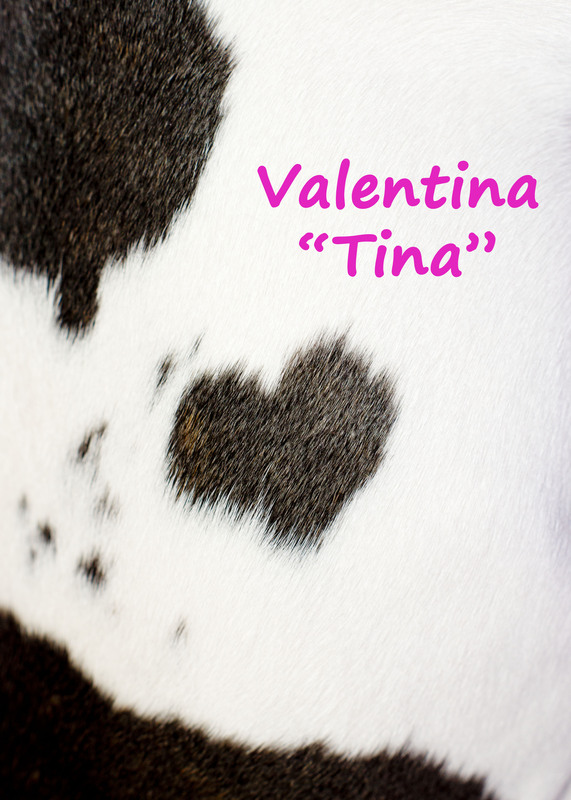 Valentina is strong willed, is adventuresome, has a large appetite, and has a loving personality! As you can see in her progress video, she is now using her back legs again. It is our hope she will have a full recovery. She is showing great progress in a short time, and her future looks promising! We are able to help Valentina thanks to community support. If you would like to make a donation to help with her continued care and/or support animals at the shelter, please click HERE to donate on our website. If you’re interested in adopting Valentina, she’s looking for a home that has the time and experience needed to work with a puppy. She is a spunky gal with a lot of personality! She is doing excellent with house training, but she will need some continued work in this area for her to succeed. 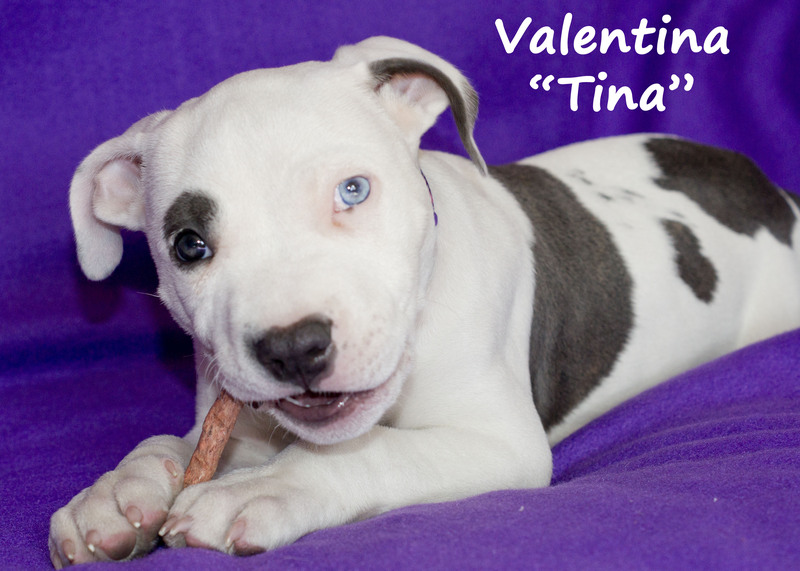 Valentina is looking for a family with a fenced yard. A home with older children, and maybe an older dog to help mentor Valentina would be great. 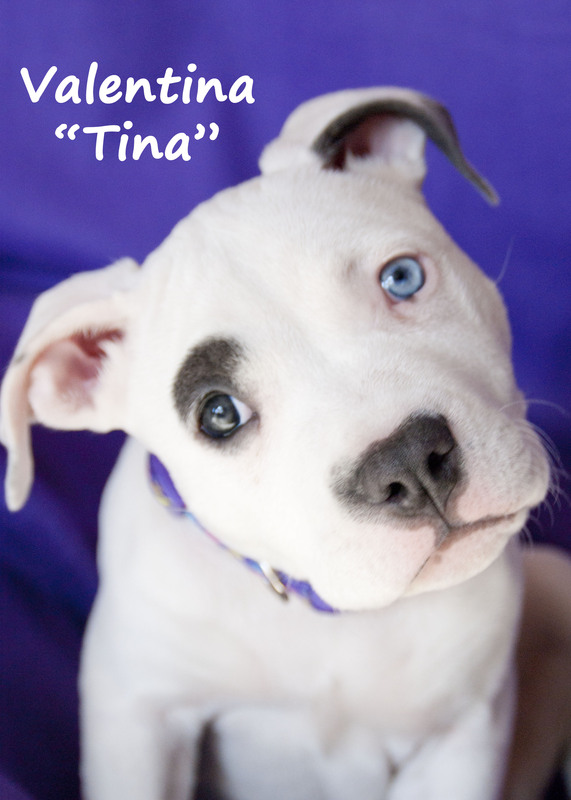 She’s looking for an active family as she is playful and loves to explore. She’s no couch potato! We have high hopes she’ll regain full use of both of her back legs. However, we cannot guarantee she won’t face any future medical challenges. Her family should be prepared for potential challenges and be willing to accept them (in terms of finances and time). The Cedar Bend Humane Society is accepting applications for a “foster to adopt” agreement until her current medical treatment is done and until she is spayed. Then she can be fully adopted. We hope to find her a loving and supportive “foster to adopt” home soon. Please fill out the application first. Then we’ll contact you to meet Valentina.